All Sundance homes currently listed for sale in Sundance as of 04/25/2019 are shown below. You can change the search criteria at any time by pressing the 'Change Search' button below. If you have any questions or you would like more information about any Sundance homes for sale or other Sundance real estate, please contact us and one of our knowledgeable Sundance REALTORS® would be pleased to assist you. "This home is, without a doubt, the most spectacular estate in Sundance. In a resort where ski-in/ski-out is a rare luxury, this residence offers the most prestigious location on the mountain. Ski directly into your apr s ski room room (equipped w/ wood burning fireplace & wet bar) and out onto a wide run with Mount Timpanogos displaying an impressive backdrop. The subterranean wine cellar offers the full experience for any tasting. Bron Roylance - the builder, architect, & visionary behind this French monastery-inspired ski chalet travels across the world in search of long forgotten & under-appreciated works of art & antiques. He then salvages the priceless articles & incorporates every piece into his builds. " "One of the best views in North America.... This quintessential 'Sundance' mountain home will captivate you the moment you step inside. Upon entering the home, your eyes are drawn to the two-story windows that frame dramatic views of Mt. Timpanogos, providing a natural canvas for this masterpiece. Natural stone and reclaimed wood finishes, combined with the warmth of the wood burning stone fireplace, provides comfort in the mountains. Pieces from around the world are incorporated into this home's unique design and story. The gourmet kitchen opens to the expansive deck with awe inspiring views for memorable entertaining. The property is a perfect escape for a family or a friendly gathering. Enjoy the year-round activities that Sundance Resort offers including hiking, biking, zip line, skiing, top rated restaurants, shopping, and Sundance Resort Spa. A short 20-minute drive to Heber Valley Airport, 45 minutes from Park City Utah." "Located at the star studded Sundance Resort, this Sundance vacation lodge is of of the most desirable premier mountain property available on the market today. On an unparalleled location sits a beautiful 6,900 square foot, five bedroom and six bathroom lodge overlooking one of natures most breathtaking masterpieces. Bordering vast acres of open space including a year round waterfall, the lodge sleeps twenty-two, has a wonderful deck and upper backyard for entertaining, a lower yard for games, a rear forest complete with babbling brook and a duck pond. Minutes from skiing, hiking, horseback riding, zip lines, restaurants, waterskiing, boating, stand up paddle boarding, kitesurfing, and glider rides. Close to an airport, parking, and services for private planes. Enjoy close proximity to fly fishing, atv access, cross country skiing, shopping, arts, dramas and theater in an outdoor amphitheater. Property being sold with adjacent lot with separate tax ID." "One of the most coveted locations in all of Sundance. This designers masterpiece is a one of a kind look for the discriminating taste a true lover of Sundance would appreciate. Great views, glorious sunshine, walking distance to skiing with seclusion and privacy, but close proximity to resort. This is the Ultimate Sundance experience. Charming, rustic feel with all-new modern features and conveniences. Perched on a sunny knoll with incredible, unobstructed views of Stewart Falls. New addition to expand the home and all new construction on areas of existing foundation completed in 2013. (New Build- Provo City, 2013) Completely new structure and framing. Completely new electrical wiring, fixtures, and outlets Completely new roof with lifetime warranty. Snow guards installed for added protection. Top-of-the line foam insulation blown into every area possible. Highest R-value available. 4 new top-of-line Lennox high efficiency furnaces and air conditioners. 4 units, all zoned separately for highest efficiency. Heated ski and locker room attached to garage. Custom-made, heavily insulated doors on all exterior entrances. Custom-made light fixtures throughout the home. " 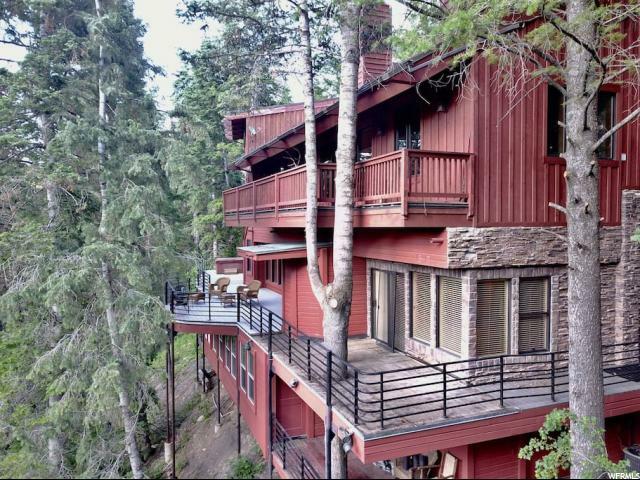 "Peace and serenity abound in this lovely Sundance Mountain Resort home tucked in the pine trees. 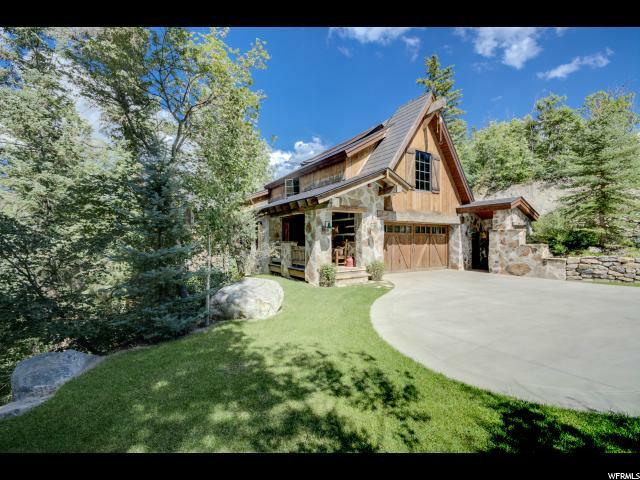 It is the quintessential mountain home with privacy, yet within walking distance to Stampede ski run and miles of hiking and mountain biking trails. Offering 4 bedrooms / 3 bath, this downhill floorplan boasts a two-story great room with views of Mt. 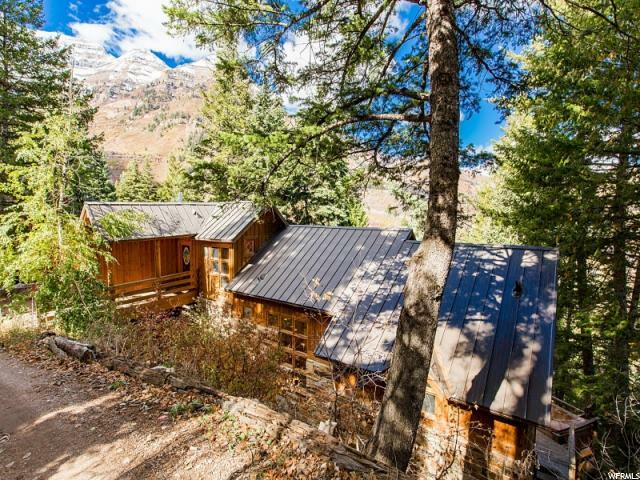 Timpanogos and cozy fireplace for gathering, a large deck nestled in the trees, and a master suite on its own wing. Enjoy year-round activities of the renowned Sundance Resort, unwind at the spa, and relish in the award-winnig dining all in a day and just minutes from your home. Plus 20 minutes to Heber Valley airport, 40 minutes to Park City, and one hour to SLC. The prime location for a tranquil escape and relaxing recreation, yet near it all. Offered furnished." "Beautiful mountain home steps from the ski run. Ski to your front door. In summertime, walk to the amphitheater or down the hill to the restaurants. 5 bedrooms and 5 bathrooms, three decks, hot tub, and full raquetball court. The entire top floor was added in 2009 to be one giant master suite. It is truly a luxury mountain home and gathering place. 4 car garage. Game area. Luxury master bath with steam shower. Some furniture may be included. Call for more info." "The perfect Sundance home, situated on the sunny side of the beautiful Sundance mountains, warmed by welcoming winter sun. This property, set up for full-time living or rental guests, with great rental potential is situated on the best maintained Sundance neighborhood road with easy year-round access, an oversized 2 car garage with additional storage space and a flat driveway that accommodates 5 or 6 additional vehicles. The interior space includes an impressive and welcoming entry area and lofty living room with floor to ceiling windows, 2-sided rock fireplace and walls of windows with wonderful natural light and views. The spacious kitchen caters to the chef and the dining area features French doors opening onto a massive deck and a backdrop if lush forest with a sparkling glacial river below. The spacious and private master suite provides a sanctuary at the end of the day, with Mt. 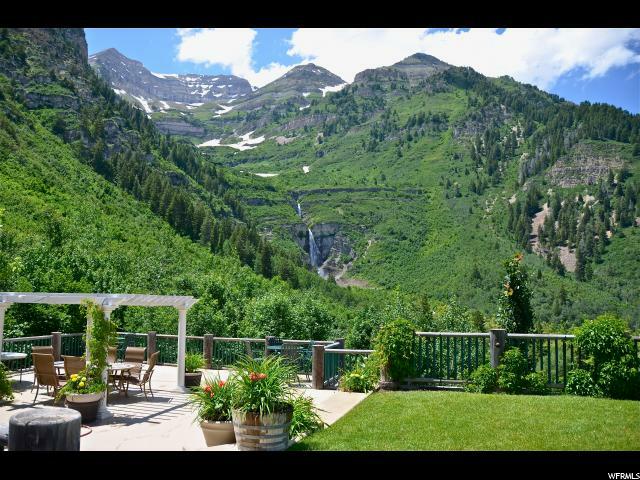 Timpanogos views, fireplace, large garden tub and private balcony. The family room with adjoining billiard room is a great place to kick back with a good movie or challenge your friends to a game of pool. The home's enormous, private deck, surrounded by ancient towering pines is perfect for entertaining large groups or simply enjoying a relaxing soak in the hot tub while gazing up at the magical evening sky and listening to the soothing sound of the river. Below the deck is a hillside walking path down to the river. Just a short walk to ski lifts, restaurants, spa, and other resort facilities. 15 minutes to Provo, 45 minutes to Park City, and one hour to the Salt Lake City airport. *Square footage per county records. Buyer to confirm "
"We've taken care of the most difficult aspect of building a home in the canyon - a new septic system is installed and is approved for a new 2 bedroom home - PRICELESS. Experience what North Fork Canyon was before Sundance was ever a consideration. Ideal location on the river with 145 feet of property line bordering conservation easements to the north and east. 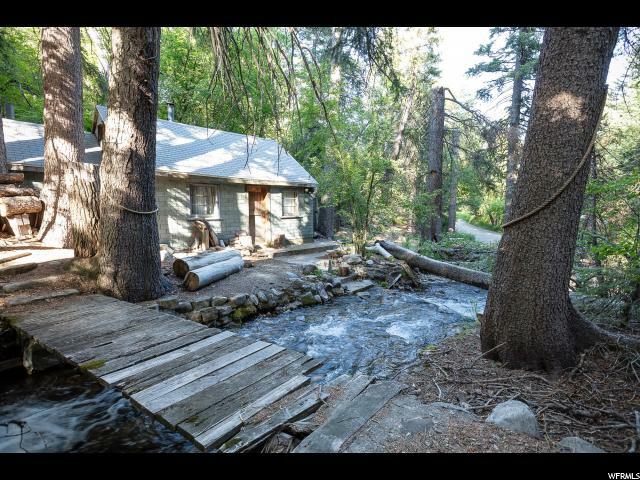 Approximately 75 feet of the North Fork river runs through the property giving you what everyone else covets. Water rights, no HOA, private, year round access, and all on the river! This simple, rustic cabin was built in 1949 and sits on 0.19 acres, just 12 feet from the river. Step inside and you'll find it was distinctively constructed with stacked WWII ammunition boxes. Whether you opt for a remodel or bring your own design, this location is like non other in the Sundance area. Must see to capture the uniqueness and appeal to calling this spot on the river your new home. To be sold AS-IS, additional survey and permits available upon request."